As America plunges into the Great Depression, Marthanne Hendrix finds herself in rural Vidalia, Georgia, with no memory of how she got there. Bewildered when the neighbors call her Oma, Marthanne is haunted by memories of another life—and another self. With the help of Comfort, a domestic worker living with her own tremendous loss, Marthanne discovers that Oma is another distinct personality inhabiting her body. In a time when mental illness is taboo, Marthanne and Oma’s simple, small-town life is fraught with complexity and danger. With gossip running rampant, Marthanne and Oma will do anything to avoid their greatest fear: commitment to an insane asylum. Only by relying on Comfort’s kindness can they navigate their uncertain future. Friendship becomes sanctuary, and the quest for an ordinary life leads to an extraordinary bond. 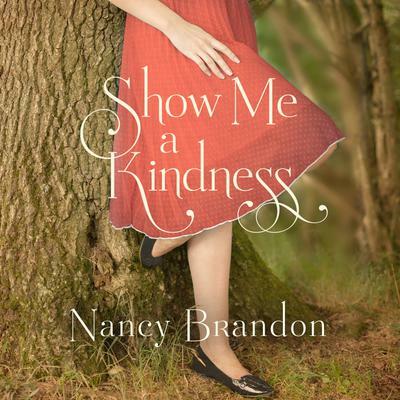 Deeply moving and exquisitely wrought, Show Me a Kindness is a haunting novel of love, survival, and hiding in plain sight.